Thank you, Lynn! It looks like the bike's owner chose this wall as a parking spot because of its coordinating colors. 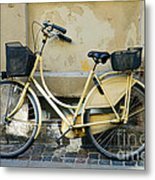 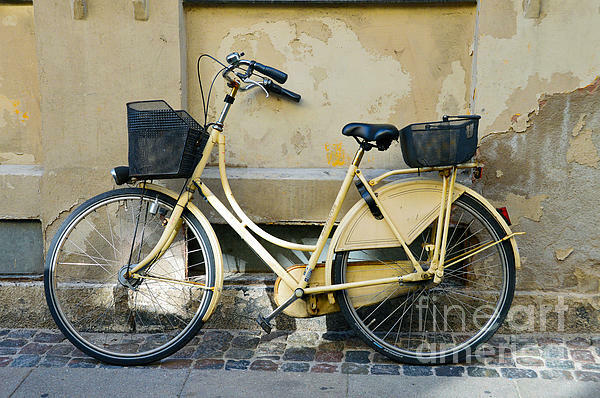 A yellow bicycle leans against a weathered wall in Copenhagen, Denmark, awaiting its owner's return.